The hit series is back, to charm and inspire another generation of baby-sitters! Dawn has always thought there was a secret passage hidden in her house. But that doesn't explain why creepy things happen when Dawn's at home, or the spooky noises coming from behind her bedroom wall. Dawn is sure there's a ghost in her house! And so are the other Baby-sitters Club members. But they're so busy with their jobs that they don't have time for a ghost hunt. 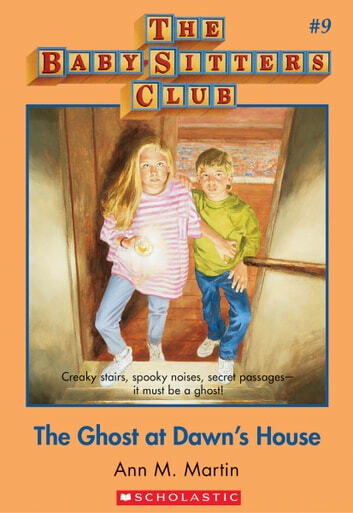 Will Dawn and her friends solve the mystery . . . or will Dawn have to share her house with a ghost? The best friends you'll ever have--with classic BSC covers and a letter from Ann M. Martin! IT'S SPOOKY BUT FUN. I LIKE TO SCARE MY SELF, BUT TO OTHERS I THINGK YOU SHOULD NOT READ IT AT NIGHT. This book is creepy and exicting at the same time! I think people would like this book because it is very exicting!!!!!!!!!!!!!!!!!!! !